Wow, at this point of the year it’s getting tough, isn’t it? The flowers are blooming and the weather is getting warmer and you’re stuck inside doing homeschool for hours on end. 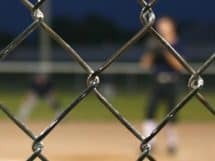 The kids are stir-crazy and so are you; you feel like you are just slogging through with no joy anymore. The thought has occurred to you that next year you do NOT have to set yourself up for this again. In fact, you may have actually been feeling like you just want to out-and-out QUIT homeschooling. I HAVE SO BEEN THERE. I can remember more than one phone call to my husband wailing, “I just don’t want to do this anymore! !” Homeschooling can definitely push everyone’s buttons — and mine are fairly easily pushed, unfortunately! 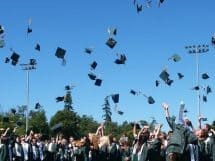 But long-story-short we kept going — and now we have three homeschool graduates, with two more students still at home, and no plans to quit any time soon. Now, I am by no means one of those militants who say that every family should be homeschooling and if you’re not, you’re some kind of infidel. I truly believe each family must decide what is best for their children and their own family dynamic. BUT I also confess that I don’t want anyone to quit homeschooling once they’ve already been doing it. 🙂 I really think homeschooling is a wonderful lifestyle and I hate the idea of anyone giving it up. So do consider carefully and thoroughly as you contemplate changing your education plans for your family. 1) Do not make a decision when you are emotional. Wait until the crisis has passed, or the year is over. Rest up for awhile and then come at the decision fresh. This way you will be able to evaluate the pros and cons of your situation as objectively as possible. 2) Try to identify WHY you feel this way. It may be you just need to change some small things about how you are doing homeschool to begin feeling successful again. 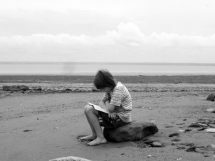 Maybe you’re just stuck in a rut — read this post for help with that: When Your Homeschool is in a Rut. 3) Try to regain your vision. Why did you start homeschooling in the first place? Have you lost sight of that in the midst of the workbooks and the grading and the bad attitudes? Take some time to remember your original goals. Re-read some of your favorite books about homeschooling to remind yourself of what excited you about it back in the beginning. Here’s my WHY: Our Main Reason for Homeschooling: Character Development. What’s yours? 4) Or maybe you need a new vision. Maybe the kids are older and your original reasons for homeschooling aren’t as valid anymore. This is conference season — get yourself out of the house and off to your local gathering. Keeping your own mind renewed is a key component of remaining motivated. 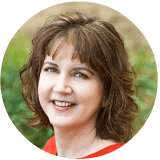 5) Get input from experienced homeschool moms who have been in the trenches just like you. This is the one thing I really would have liked when I was in the throes of despair and frustration — to just talk it out with someone who had been there. But for one reason or another there were many years when our family was homeschooling alone, and so I did not have ready friendships with homeschool moms that I could talk to about these things. If you have homeschool mom friends, especially if they are older and/or more experienced at homeschooling, make an appointment to get some coffee together and share your struggles. Sometimes all we need is to vent. But I bet they’ll have some great advice. And as another way to do #5, WOW, do I have a resource to share with you! 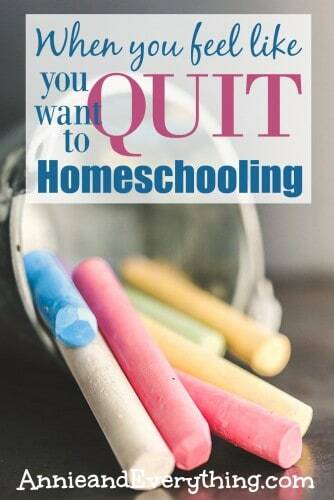 I recently had the opportunity to contribute three chapters to a new book called Homeschooling: What To Do When You Want to Quit. And this book is worth getting, y’all. There are 56 chapters written by 31 experienced homeschool moms who all understand what it feels like to want to call it a day. Over 250 pages long, it is chock-full of encouragement and support for when you are at your wits’ end. Tired of your messy house? There’s a chapter about that. Overwhelmed by record-keeping? There’s a chapter about that. You’ve been having some serious life issues lately? There’s a chapter about that. I can’t think of a single reason to want to quit homeschooling that isn’t addressed in this book. I’m going to keep it as a ready resource to select chapters to read according to the need of the moment, lol. The book comes in either a Kindle version or an actual paperback copy. If you want to see some sample chapters, you can do so HERE. I am just so excited to be a part of this book; I am convinced that it will be a helpful resource to keep on hand as we all continue our homeschool journeys — because I know after reading it you’ll be motivated to keep on keeping on! I read your chapter in the book that included 10 reasons why you should homeschool high school. Oh my goodness!! !-so many reasons that are the same for me! I love it! You are a clear writer and I am so thankful for the resource of this book to encourage others with!